'Edexcel PE for A Level Year 1 3e' is one of the student text series published by Jan Roscoe Publications Ltd. 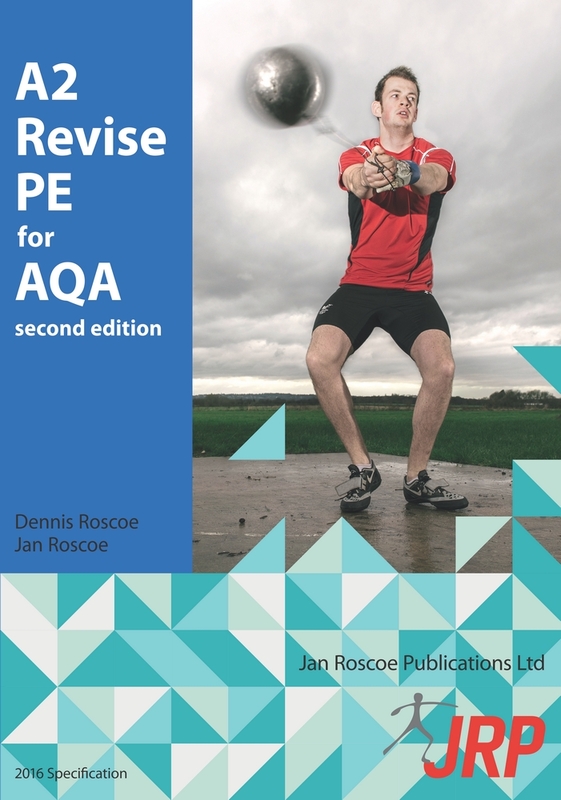 This book provides an indispensable text for students for Physical Education AS and the first year of an A Level course that commenced in September 2016. 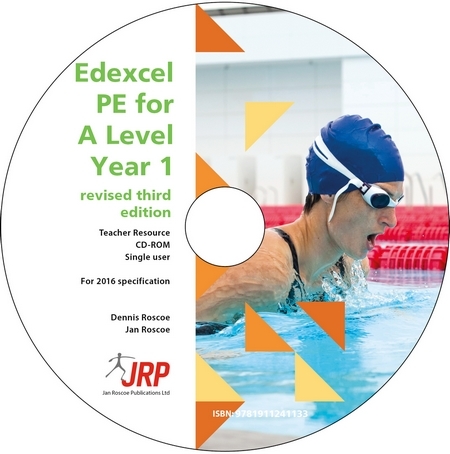 This market leader has established JRP as the main publisher for Physical Education Student Text Books. 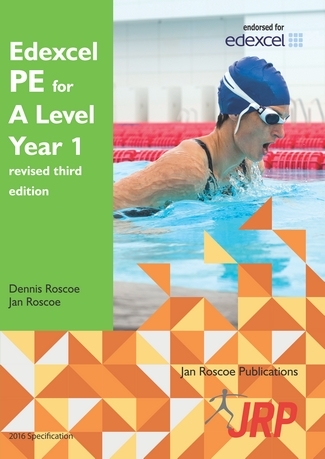 ‘Edexcel PE for A Level Year 1 3e’ is in full colour throughout. 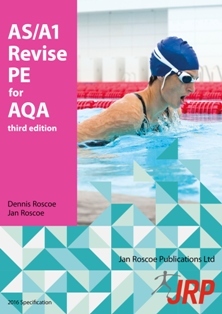 It consists of extensive linear notes, revision bubbles, student notes, questions that reflect year 1 A Level Edexcel examinations and bespoke full colour photographs that work very closely with the text. 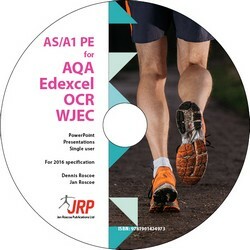 The following downloadable link: www.jroscoe.co.uk/downloads/edexcel_pe_for_alevel_year1/ contains the answers to the questions in the text. This is to separate questions from answers, so that students can have a chance to do the questions without first seeing the answers! The information in the link can be accessed by clicking on the chapter icon directory for the chapter being studied. 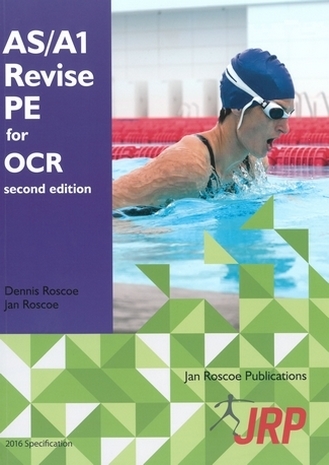 Answers are in pdf format.